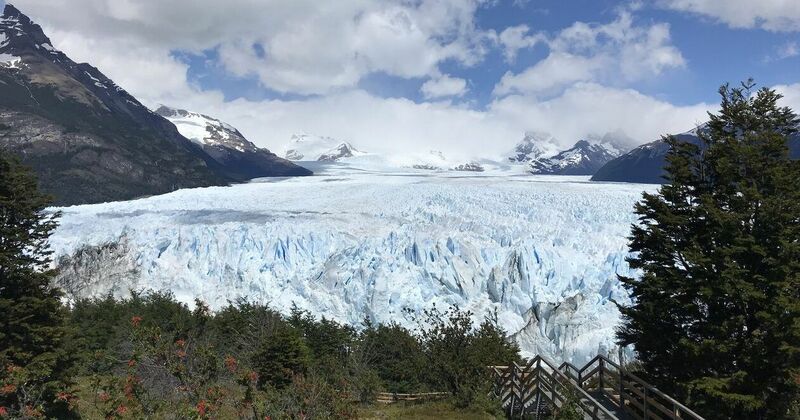 Flying into what seems the middle of nowhere, with piercing blue lakes and arid steppes, grasslands and deserts, you find yourself after a short drive from the airport in the quaint Argentine village of El Calafate. I have to say this was my favourite small town in all of Patagonia, brimming with character both traditional and modern. I wish I spent at least one or two extra nights here in hindsight. I will be going back, as due to its location it can be easily tied in to various South American itineraries. On this adventure, we had two nights here which allows enough time to experience a local estancia or a gaucho horsemanship demonstration – with their traditional lamb dinner, a 4WD off-road adventure, and perhaps a tiny amount of time to visit the fabulous small local handicraft shops that line the streets amongst bustling café’s, restaurants and a few bars. 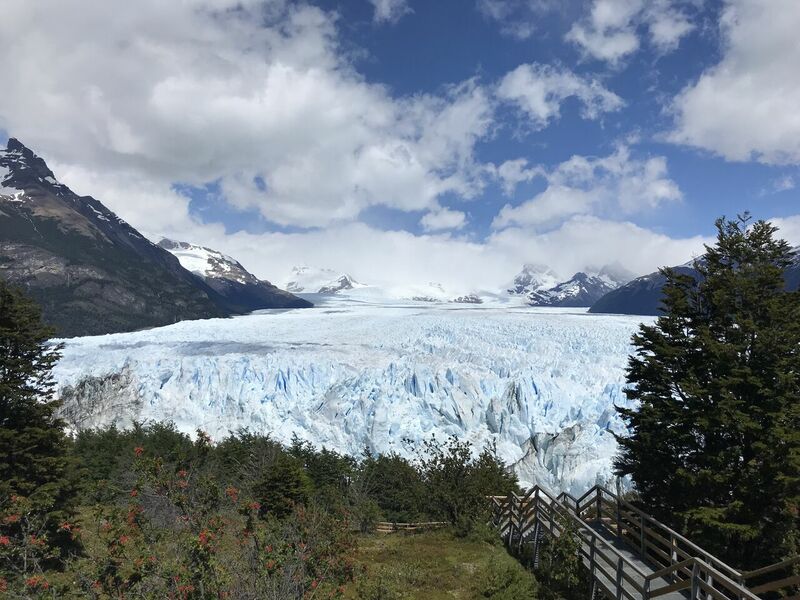 The highlight of visiting here is without a doubt the day trip out to Perito Moreno Glacier, which is by far more impressive than any Glacier you would have seen in Chilean Patagonia, in the Arctic, in the Antarctic or in Alaska. Having been to all these locations, I can personally attest to this. This truly is one of, if not the most amazing Glacier, being one of only three in the world that is growing. Not only is she growing, she is doing this at the extraordinary rate of two metres a day, resulting in continual calving for you to experience by boat, ice trekking on top of her, or by the amazing walkways on land. These walkways are purpose built to get you up close and personal without ruining the vista and experience. It is definitely worth the journey to El Calafate, a quaint town that I thoroughly enjoyed, and recommend a few days here. 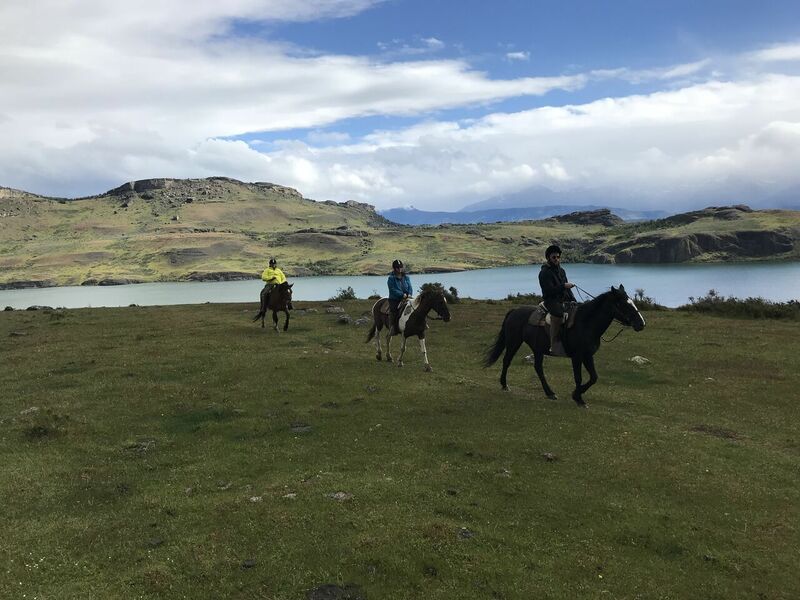 You can kayak, raft, walk, Ice Trek, see more glaciers like Upsala and Spegazzini or Viedma, walk in a petrified forest, a canyon of fossils, or go mountain biking. You might want to go for three days or longer up to El Chalten and trek the famous Fitzroy Paine region of Patagonia if you have time. We stayed in Alto Calafate hotel which is definitely at the higher end of luxury properties in the area. I would describe it as a four-star comfortable lodge with a fabulous restaurant and amazing views. Its close enough to town (with a free shuttle), yet far enough away for peace, tranquillity, scenery and feeling like you are in Patagonia rather than a town. Their pool and spa services could be just what you need at this point in your itinerary. We dined and inspected a few other varied hotels in this quirky town. I particularly loved Kau Yatun Hotel and Estancia. If you aren’t too fussed about luxury and want more traditional boutique accommodation then this is the choice for you. This property offers a real local historical gaucho type experience, is very comfortable and within walking distance to all that town can offer. I will definitely be staying here next time for a more traditional twist to my holiday. 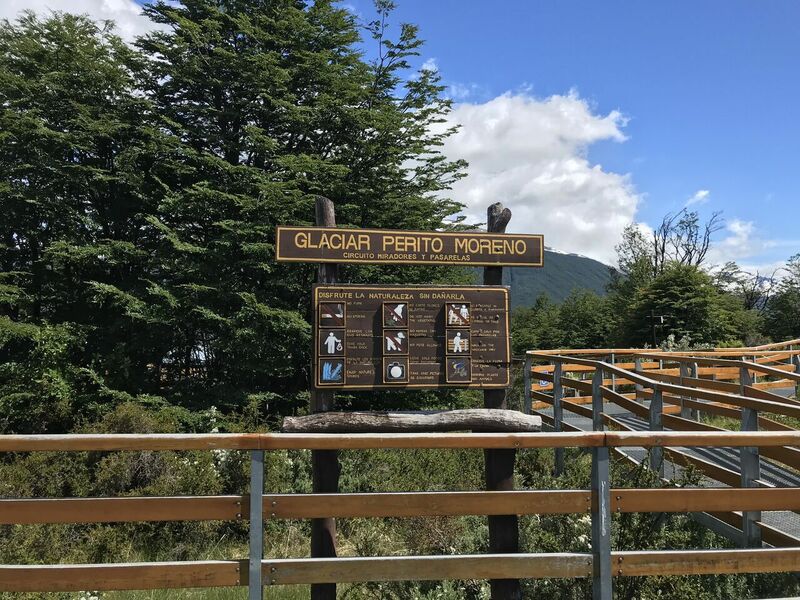 If you prefer a more modern and centrally located stay, then either the El Calafate Parque Hotel or the Mirador del Lago would be worth considering. I loved the El Calafate Parque’s restaurant, at which we enjoyed a very satisfying traditional meal with a modern twist. The location close to town and large, comfortable and modern rooms with a wonderful gym and spa make it a great option. The Mirador del Lago will please anyone wanting a traditional four-star lodge comfortable feel right in the centre of town with great views and everything you need in a welcoming and relaxed hotel.